Burglary is a real issue for retailers. According to the British Retail Consortium (BRC)’s retail crime survey 2014 the number of burglaries against retailers fell by 22% but the average cost per incident was £1825 last year and a retail unit is still far more likely to be burgled than a domestic property. There’s also the cost of disruption to the business to factor in. It’s not difficult to see why shops are attractive targets – there are high value brand new goods for the taking with nobody on the premises at night and often, in the case of town centre shops, few people around the general area at that time. While retail burglary is slowly reducing, it is still important to protect your shop with adequate physical security measures. Keeping your property secure is not just about having a burglar alarm; it requires a complete solution that includes a number of measures to cover all bases. This way, if they manage to get around one security measure, there are other barriers that will prevent entry or at least slow them down. A visible burglar alarm is an obvious element of any retail security plan. We would recommend a monitored alarm with Dualcom or Redcare so that even if they cut the phone line, the monitoring centre will still be notified that there is a problem. Locks are your first line of defence against any intruder and it stands to reason that you need good quality break secure locks on all entrances. A well thought out lock policy also goes hand in hand with your locks. That means having a written protocol for locking up that all relevant staff are trained in. This may seem excessive for a small business but it is extremely useful for reducing human error because, after all, locks are only as good as those using them. As much as we don’t want to think about it, theft by employee costs an average of £1031 per incident so your lock policy needs to include named key holders and clear areas of responsibility. An access system with unique fobs or codes could be an alternative to key locks and allows for full accountability. If you have internal doors that can be locked this is a good idea as it can prevent an intruder progressing beyond a certain point in the building. Also make sure that loading doors at the rear cannot be opened from the inside, should they manage to get in another entrance, as many will pull a vehicle up to a rear entrance to load up and make their getaway. If you stock small, high value items such as jewellery, or need to keep cash on the premises (though we would advise you to bank cash if at all possible), then the most secure way to store it overnight is in a safe. There are many types of safe available and some will also protect its contents from fire and flood as well as theft. We can advise you on the best type of safe for your needs. 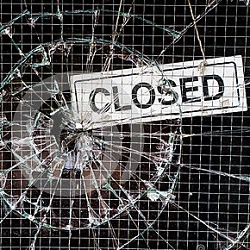 Security shutters on the outside of your premises will not only help prevent entry but offer some protection against criminal damage as well (often the main cost associated with a break in is the glass replacement). Shutters will also help obscure the contents of your shop from view though we would also recommend loving high value items away from window displays. If it is possible to see into the shop we would also suggest that all cash is removed from tills and the drawers left open to show that they are empty. CCTV will deter many would-be intruders plus it gives you some hope of catching those who do attempt a break in. It can also be useful for cutting down on shop lifting or even theft by employees. With many systems you can log into the cameras when you are away from the premises for additional peace of mind. This is obviously a brief overview of the security measures you can take. More detailed advice is available from the West Yorkshire Police website. We look after many retail businesses including a national contract for Poundworld. We are happy to design a complete security solution for you or to help with any of the measures mentioned above or just give you some advice. Simply give us a call on 0800 612 9799 (from a landline) or 0345 833 5543 (from a mobile).